MM Project Ltd are Maciek Bilkiewicz and Mariusz Przewozniak. Their professional relationship spans over a decade of construction and renovation work throughout the Greater London area. Maciek and Mariusz have built-up a strong network of technical, compliance and design professionals through successful collaboration on a range of projects. Their clients have demonstrated their satisfaction through repeat commissions. 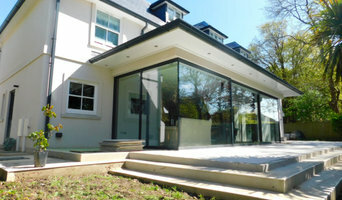 Building Contractors carrying out traditional and contemporary Projects on New Build, Refurbishment and Extensions. We are an established Main Contractor set up in 1994, carrying out all aspects of New Build and Refurbishment of Residential Projects, Commercial and Domestic extensions. We generally work within a 50 mile radius of Guildford, incorporating London, Surrey, Hampshire, Berkshire and Sussex on Contracts ranging from £100k – £5million in value. We have built up an experienced and reliable building team, which we believe consistently produces the highest standards of technical construction and finish on all the Projects we undertake. ABODDE is a new company formed to deliver affordable, modern and energy efficient housing to the UK market. Its first designs featured at the Grand Design Show in October 2015 at the National Exhibition Centre in Birmingham. The UK housing market is in urgent need of more affordable homes and our approach to off site production is the way to deliver, saving both time and money for the customer. The homes are carefully designed pre fabricated timber eco homes that are highly sustainable, fast to erect and extremely adaptable. The building concept responds effortlessly to the occupant’s requirements however varied. It can be personalised from the outset, but can easily change to meet individual tastes and preferences over time. Its simplicity means it can be effortlessly extended, extruded or doubled up. In addition the homes are designed to be very energy efficient and are known for their fire resistance and zero carbon status. Why not build you own house with the help of Tadley, Hampshire builders? 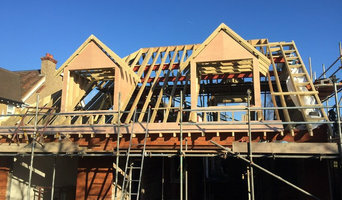 Builders in Tadley, Hampshire can be employed to handle a wide range of projects; from knocking down a partition wall to building a kitchen extension, but you’ll certainly need the help of a trusted house builder if you plan to build your own home from the ground up. But why would you take on such a task? This may seem like a daunting task, and admittedly, it’s not for the faint-hearted. But with extensive research, trusted builders in Tadley, Hampshire, detailed budgeting and good judgement you might soon be sitting in the house of your dreams, at a snip of the cost. Your architect’s plans will serve as clear instructions to your builder and, if the former has done their job well, you should also avoid any nasty surprises with the local council. Finding the right Tadley, Hampshire builder need not be a long or difficult process. 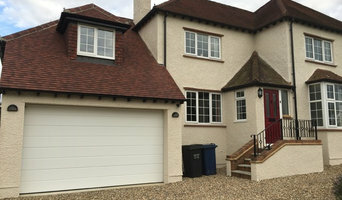 Personal recommendations aside, a good place to start is the Tadley, Hampshire Home Builders category of the Find a Pro section on Houzz, where you can see their previous work and ask questions. Compile a shortlist of at least three builders in Tadley, Hampshire that can handle the full scope of works, either by themselves or through sub-contracting. It is often a good idea to play devil’s advocate and ask what the builder will not be responsible for, such as structural engineer consultations. Be weary of unusually cheap quotes. Ask for references and stories about how the builder has met different challenges along the way. If you can, you could try to see builders’ previous projects in person and talk to previous clients, or if not, read reviews, recommendations and ratings, and look at detailed photos of projects. How long have you been operating as builders in Tadley, Hampshire? Find builders on Houzz. 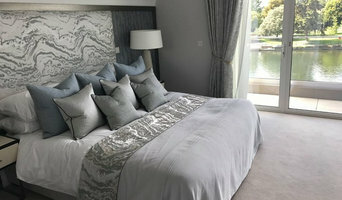 Narrow your search in the Professionals section of the website to builders in Tadley, Hampshire. You could also look through Tadley, Hampshire photos to find a project you like, then contact the Tadley, Hampshire builders that created it.